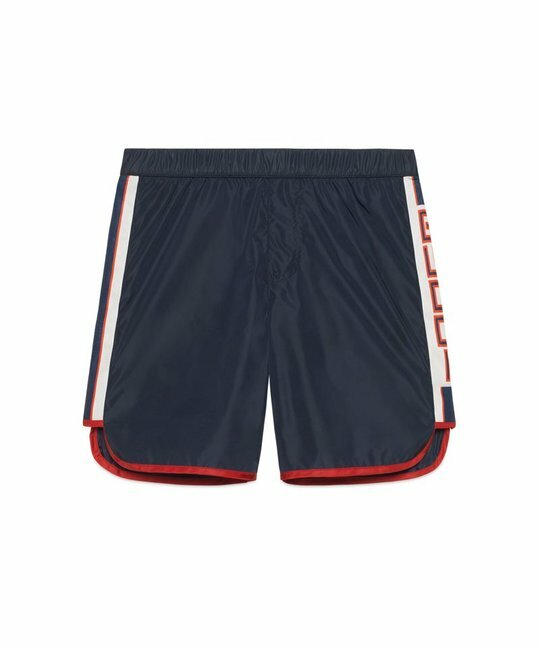 Gucci quick dry navy swim shorts with branded logo detailing down the leg. 100% Polyamide. Made in Italy.